Jacksons Electrical Services have a wealth of experience as Commercial Electrical Contractors in all aspects on Installation, Maintenance and Repairs, able to provide you with an efficient and professional service at a highly competitive price, whether you require additions or modifications to your existing system, or a full design service for your new premises. We can also provide both reactive and preventative maintenance, through planned scheduled maintenance contracts, whilst also completing your PAT Testing, which should be carried out at regular intervals depending on the risk-rating for a particular item. Jacksons Electrical Services have the status of an NICEIC Approved Contractor, based on excellence in quality, customer service and operation to their exacting standards. All work is carried out in accordance with the current edition of the IET Wiring Regulations BS7671. Most commercial properties require Electrical Inspections to be carried out, at maximum intervals of 5 years to comply with current regulations and Health and Safety Guidelines. We can provide you with your Electrical Inspection Condition Reports in accordance with BS7671. 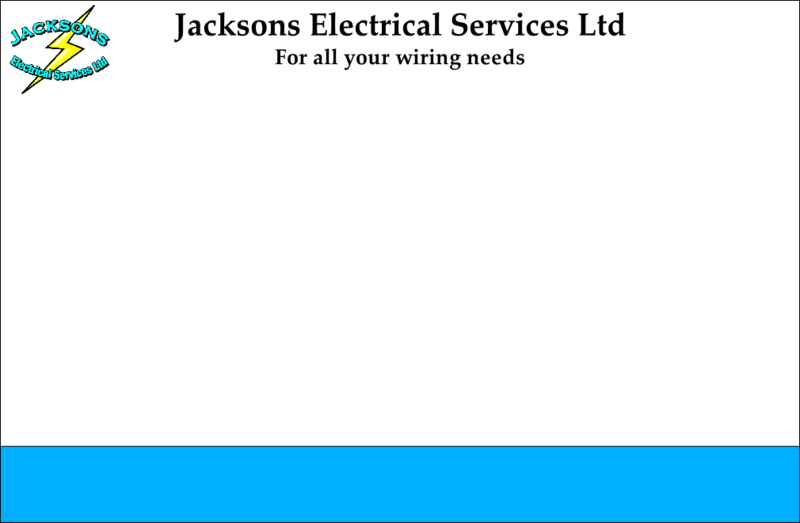 For your Local Commercial Electrician please call Jacksons Electrical Services.